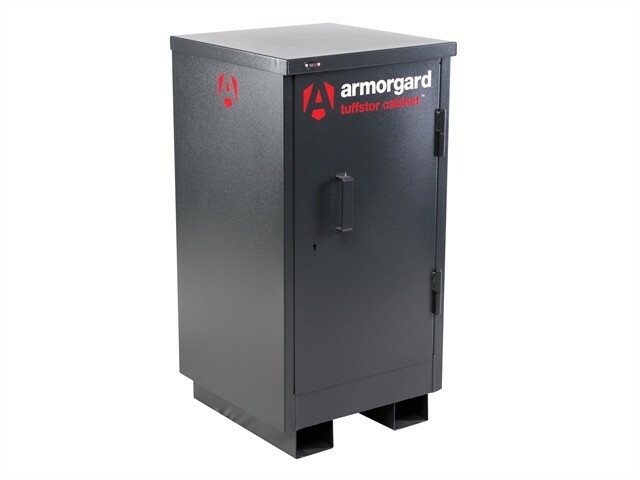 The Armorgard TuffStor™ Cabinets are fitted with adjustable shelving. Designed to keep tools, equipment and fixings more organised and accessible. Also ideal for inside a vehicle where they occupy less floor space. Robust construction from 2mm steel plate. The heavy-duty door is fitted with a 5-lever deadlock and serial numbered for replacement keys. Fully adjustable shelves fitted on all sizes. Finished in low-visibility charcoal grey with forklift skids on all sizes.